Etoh H, Sasaki N, Chay S, Ninomiya H (2011). Carbon emission reduction potentials through thinned wood in Japan. iForest 4: 107-112. Substituting fossil fuel with woody biomass for bioelectricity production has great potentials for carbon emission reductions while increasing forest productivity to increase carbon sequestration and improve ecological functionalities. Until recently, study on such potentials was very limited. Beginning in 2007, Japan’s special budgets were allocated for a 6-year intensive thinning on about 3.3 million ha of young stands for increasing carbon sinks in Japanese forests to meet the capped amount of 47.7 Tg CO2 year-1 allowed under the Marrakesh Accord. Because of only 30% of the thinned wood were used for sawntimber, CO2 and CH4 must have been emitted from the disposed thinned wood and wood waste. Such emissions and reduction potentials need to be assessed to provide future alternatives for climate change mitigation. We assessed carbon emission reduction potentials when woody biomass from thinned wood is fully utilized for bioelectricity production as compared with the generation of the same amount of energy produced under coal, oil, and natural gas scenarios. Our analytical results show that if all disposed thinned wood and wood waste are utilized to generate energy, about 62.6, 58.3, and 37.8 Tg CO2 year-1 could be prevented from emitting depending on emission scenarios or about 33.2, 30.9, and 20.0% of Japan’s reduction commitment to the Kyoto Protocol. On the other hand, if thinned wood and wood waste are not utilized, about 13.4 Tg CO2 year-1 would be released due to thinning. Our results suggest that incentives to reducing emission reductions in forest sector in the future climate change mitigation agreements will likely lead to large emission reductions, otherwise leakages due to thinning are unavoidable. Drivers behind the development of forest energy in Sweden. Biomass and Bioenergy 30: 289-295. For promoting the Kyoto protocol concerning the plan for attaining the target. Cabinet office, Government of Japan, Tokyo, Japan, pp. 1-10. About the electricity purchase from new energy. Technical Report, The Chugoku Electric Power Co. Inc., Japan. Decisions on optimal thinning by a recurring decision-making model. I. A maximization of total gains of stem volume. Journal of the Japanese Forestry Society 72 (4): 304-315. The energy use of woody biomass - trend and problems. Investigation and information, Issue brief 510, National diet library, Japan, pp. 1-10. Bioenergy policy and market development in Finland and Sweden. Energy Policy 32: 1707-1721. Comparison of promotion policies for utilization of woody biomass between European countries and Japan. Journal of Japan Forest Society 92 (2): 88-92. Electricity consumption in Japan. Technical Report, Federation of Electric Power Companies, Japan [in Japanese]. Forest and forestry statistics handbook 2008. The Forestry Agency, , Japan, pp. 8-11. News of the beautiful forest management. Technical Report No.115, The Forestry Agency, , Japan. 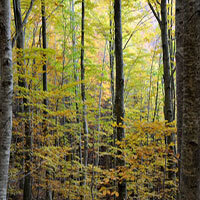 Annual report on trends in forests and forestry fiscal year 2009. Technical Report, The Forestry Agency, , Japan. The possible role and contribution of geothermal energy to the mitigation of climate change. In: “IPCC Scoping Meeting on Renewable Energy Sources”. Luebeck (Germany) 21-25 January 2008, pp. 1-36. Gas emissions from landfills and their contributions to global warming. Applied Energy 44: 165-174. National greenhouse gas inventory report of Japan. Greenhouse Gas Inventory Office of Japan (GIO), CGER, NIES, Ministry of Environment, Japan. Biomass energy in industrialised countries - a view of the future. Forest Ecology Management 91: 17-45. About the surplus electricity purchase (only as for the electricity) from new energy. Hokkaido Electric Power Co., Inc., Sapporo, Japan. About the electricity purchase from new energy generation. North European energy democracy. Shinhyoron Co. Ltd, Tokyo, pp. 90-118. Forest treatment residues for thermal energy compared with disposal by onsite burning: emissions and energy return. Biomass and Bioenergy: 34 (5): 737-746. About the electric value purchase from an RPS method object power supply. The Kansai Electric Power Co. Inc., , Japan. A spatial evaluation of forest biomass usage using GIS. Applied Energy 86: 1-8. New energy guidance of the surplus electricity purchase from generation. Technical Report, Kyushu Electric Power Co. Inc., Fukuoka, Japan. Wood fuel - An environmental perspective. Forests and forestry restoration planning and policy. Ministry of Agriculture, Forestry and Fisheries, Japan [in Japanese]. Total management approach to forest biomass utilization by local government in Yamaguchi Prefecture, Japan. Task 29 - Socio-Economic Drivers in Implementing Bioenergy Projects, IEA Bioenergy, Japan. Target of the electric use by new energy about eight years after 2007. Ministry of Economy, Trade and Industry, Government of Japan, Tokio, Japan. About greenhouse gas emissions in 2007. Technical Report, Ministry of Environment, Government of Japan [in Japanese]. National greenhouse gas inventory report of Japan. The Ministry of the Environment, Government of Japan, Tokio, Japan. Biomass energy introduction guidebook (3rd edn.). New Energy and Industrial Technology Development Organization - NEDO, Kawasaki, Japan, pp. 96-113 [in Japanese]. National greenhouse gas Inventory Report of Japan 2007. National Institute for Environmental Studies, CGER-I076-2007, Ibaraki, pp. 7-8. About the electricity purchase from new energy electricity generation. Technical Report, The Okinawa Electric Power Co. Inc., Japan. Problem investigation for woody biomass generation introduction (1). The Institute of Energy Economics, Tokyo, Japan, pp. 1-10. Ecology-oriented house builders and FSC-certified domestic timber in Japan. Small-scale Forestry 9: 81-92. GHG reductions through offset of Canadian grid electricity and methane avoidance through waste wood diversion, pp. 2-11. Biomass carbon sinks in Japanese forests: 1966-2012. Forestry 82 (1): 113-123. Woody biomass and bioenergy potentials in Southeast Asia between 1990 and 2020. Applied Energy 86 (S1): S140-S150. The Electricity purchase from new energy except the photovoltaic power generation. Technical Report, Shikoku Electric Power Co. Inc., Kagawa, Japan [in Japanese]. Visit world’s first biomass village Jühnde in Germany. V2-Solution Inc, , pp. 2-20. The budget of 2008. Tottori Prefecture, Japan. Decision 14/CP.7. Report FCCC/CP/2001/13/Add.1, Conference of the Parties, 7th Session. Marrakesh (Morocco) Oct 29 - Nov 10, 2001. United Nations Framework Convention on Climate Change (UNFCCC), pp. 54-67. An international comparison of the electric unit price. The Institute of Energy Economics, Tokypan, pp. 1-10. CO2 reduction and trees, woods. News of Hokkaido forest products research institute. Forest Products Research InstituteJapan, pp. 1-5. Evaluation of carbon sequestration and thinning regimes within the optimization framework for forest stand management. Europen Journal of Forest Research 126: 315-329.